There’s no doubt that you’re under a lot of stress while you’re divorcing. One of the more stressful aspects of divorce is dividing up property and assets, including the family home. 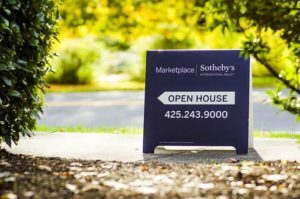 To help take the sting out of selling your property while divorcing, there are some important things to know. As soon as you know that you are separating it’s important to take stock of your finances. You will need to compile a list of assets, liabilities and superannuation. It’s wise to seek the advice of a family lawyer to ensure that your divorce is fair, equitable and legally enforceable. It is likely at this point that emotions are high – which is why an objective family lawyer can guide you through everything you need to know while divorcing. There are several options as to what will happen with the family home during a divorce. One party may receive the home as part of their settlement, or one party may buy another out of their share so that they can do with it what they want. Family lawyer and Accredited Specialist in Family Law Philippa Kingswell, says if one party keeps other expensive assets, they might receive a smaller portion of the house’s sale price. “The house is often part of the dividends that have to be sold to be split, so each party can receive part of the assets,” she says. But what many decide to do is to jointly sell and the proceeds from the sale of the home then are added to the asset pool for distribution when settlement is finalised. If there is still an outstanding mortgage on the house, then the amount owed is usually split 50-50. 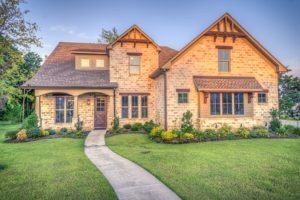 If you want to keep the family home, you may need to buy out your ex-spouse, which can be expensive for a single income earner. For the house to be sold, a sale price needs to be agreed on. Kingswell says the price is often one of the biggest points of contention. It’s the little things that can often cost more for divorcing couples though. Kingswell says the worst thing couples can do is argue over their possessions with no other point in mind other than being right or scoring a win over their ex. Furniture and goods in the house are easily replaceable. Don’t spend unnecessary legal fees on fighting over a couch or desk. Now more than ever is a time for divorcing couples to keep the big picture in mind. There’s no point spending more money in legal fees than the couch itself is worth. Working together to negotiate a price to sell at may be tricky, but it need to be done. If you can’t decide then a judge may end up deciding for you. This is a process that will just add to the stress of selling your home so it’s best to compromise where appropriate. 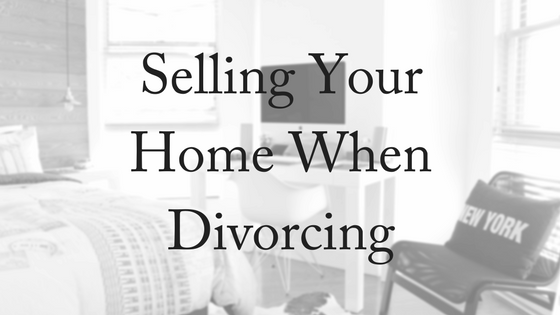 Kelly Hager, realtor and president of the Kelly Hager Group in St Louis, Missouri, estimates that 25%-35% of her business comes from divorced couples looking to sell. She says that it is often the last item dealt with in a divorce because it’s so emotionally charged. Getting onto this and not putting it off is beneficial to both parties. It may be exhausting emotionally but having everything settled in a timely fashion is much less so than if it is dragged out by warring parties trying to make life difficult for one another. agreement that they will recoup them as part of their share when the sale of the house in finalised. Getting a good real estate agent is an important aspect of selling your house quickly and getting the best price possible. Finding one that is sensitive to your situation will help to make the process a lot easier. Although it might be hard, trying to look at any offers whilst being emotionally differentiated is vital to making a good decision when offers are made. Taking the first offer and running is unlikely, but holding out for months and months for a better and higher offer is not always realistic. A good real estate agent will be able to show you what the current housing market is doing and whether the offers you are being made fall short or not. You can speak to Accredited Specialist in Family Law Philippa Kingswell today, for expert and compassionate advice. For your free phone consultation, contact us today! In fact, this type of home sale can be concluded much more quickly than a conventional sale. Ready cash is then available for division between the couple as they choose, rather than having to live with whatever decision the court makes. 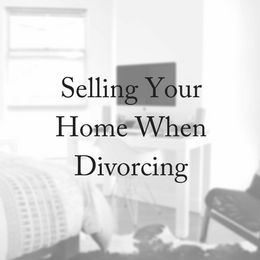 In addition, a home can be sold as is, eliminating the need for extra work or money, which is helpful when dealing with the stress of divorce. Coming to a negotiated outcome is always better than leaving it up to the court. Thanks for visiting!